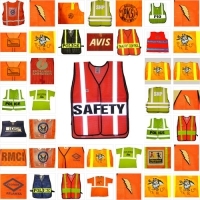 Looking for Safety Vests and/or Safety Vest Imprinting? 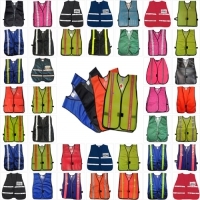 Texas America Safety Company offers a complete selection of safety vests in stock. 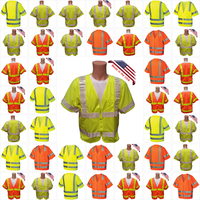 We offer plain mesh safety vests, and also a full line of ANSI approved Class II, Class III traffic safety vests, surveyors safety vests, and incident command safety vests. We can also imprint a safety vest with your company logo. We have the vest for you! Don't know which safety vest you might want? We have a category to search by application. 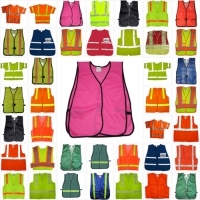 Or, you can search safety vests by color. Don't forget to check out our customization services with no minimum orders. Let's get you the perfect safety vest. Safety vests are used for many lines of work. 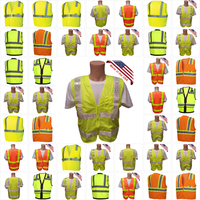 It’s common to see construction workers wearing vests, but vests are also worn by first responders, traffic operators, public service workers and utility workers. Our vests are very important for a wide range of occupations because they make workers easier to see. However, the vests that we stock also make it easier to tell employees from volunteers. On this page, you can choose from four different categories, or you can scroll down and browse our whole selection. 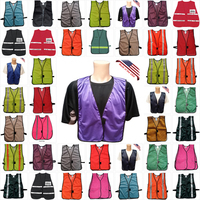 Our inventory contains vests for virtually any line of work that you can think of. By selecting one of the categories below, you can sort our products by application, color and customization. 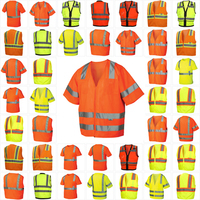 We even carry a wide selection of safety shirts, and you select the appropriate category and browse our selection. Choose from several different colors and styles. We carry many plain vests, but you’ll see that we also carry striped vests. 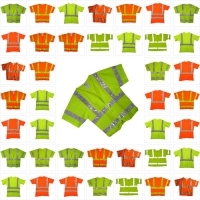 Almost all of our vests have reflective stripes, which are designed to increase your visibility. Choose from ANSI compliant class II and III vests. Our safety vests are made from soft, durable mesh, and a large percentage of our inventory features a one-size-fits-all design, so you don’t have to worry about getting the wrong size. However, we do sell many of our vests in various. Browse our selection and find the cotton or PVC coated vest that is perfect for your line of work. .